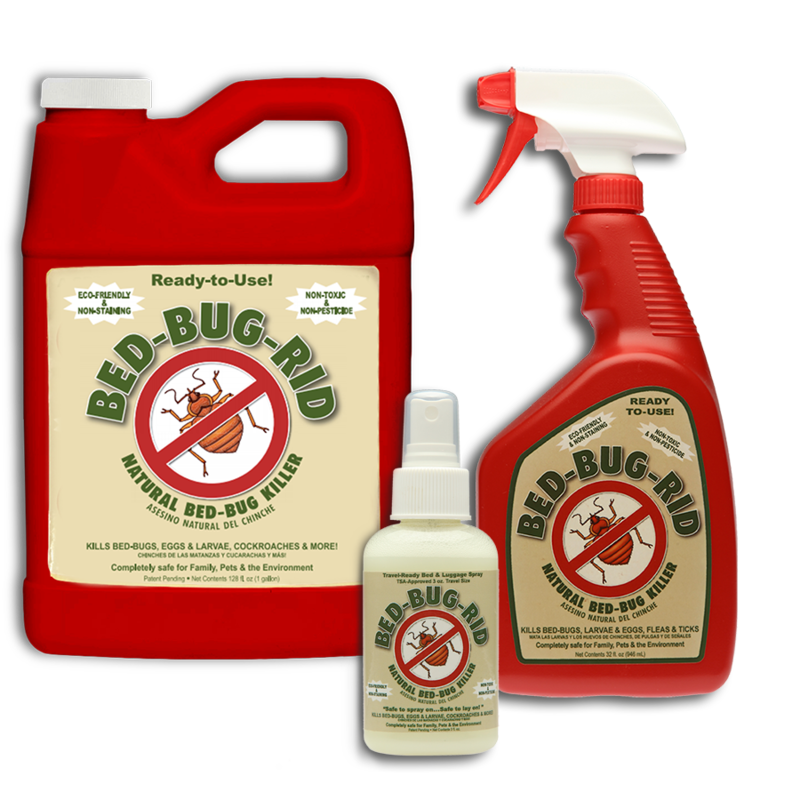 Kills Bed-Bugs, Larvae, Eggs, Cockroaches, and many other indoor and outdoor bugs! 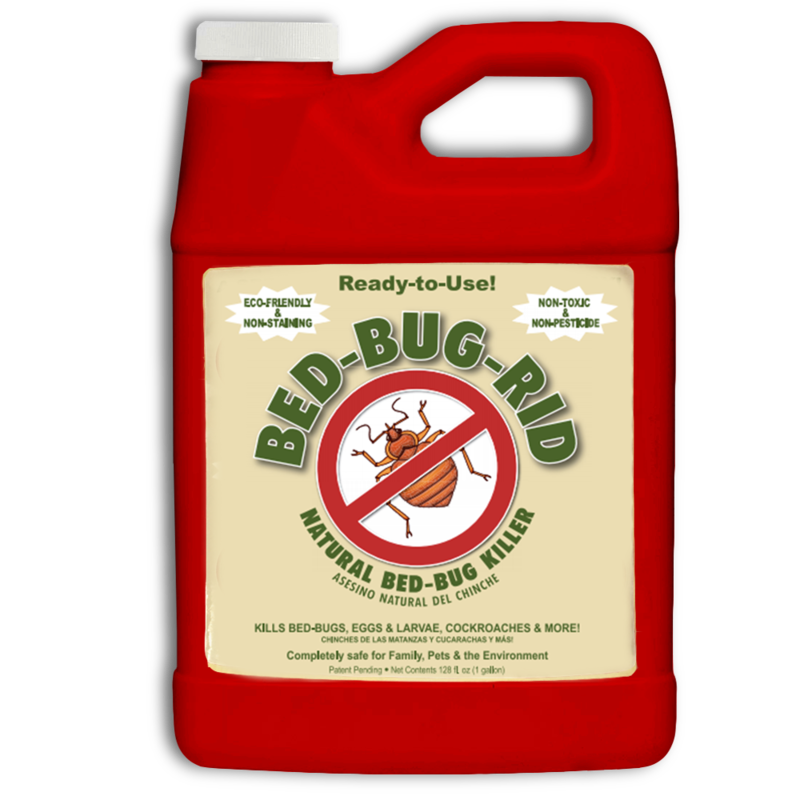 Bed-Bug-Rid is an effective, non-toxic, environmentally-friendly treatment that exterminates bed-bugs without the use of pesticides. 1. 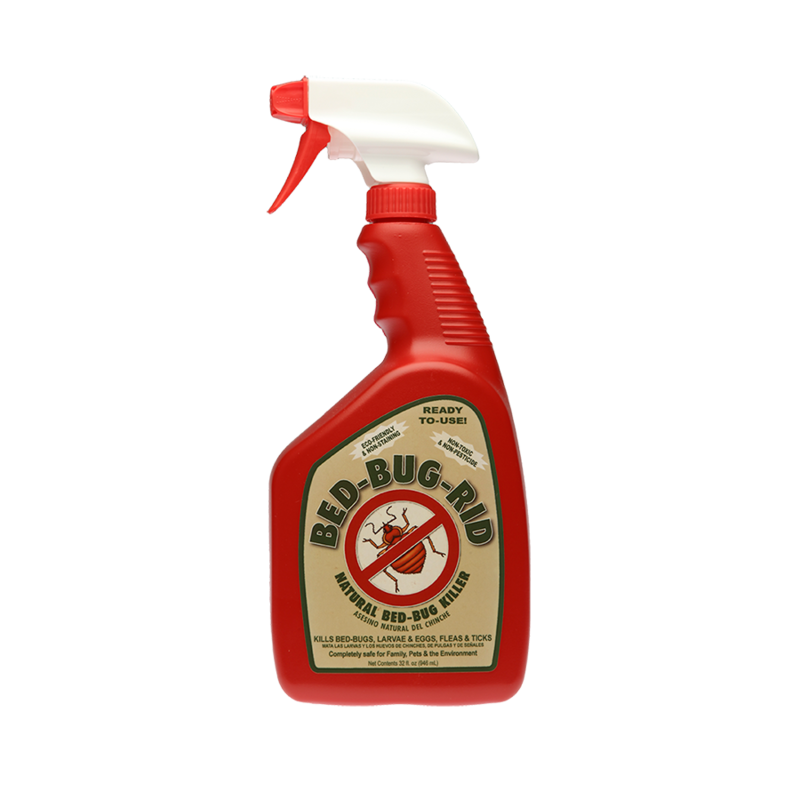 Spray Bed-Bug-Rid on and around mattresses and box springs, as well as head boards, base boards, bed frames, furniture, bedding, floor and wall coverings, rugs, luggage, drapes, cracks and crevices, and any other areas where bed-bugs may hide. Vacuum thoroughly and repeat. 2. When you travel and return home. Inspect your luggage and unpack it in a safe area, like the garage or mudroom. 3. Wash everything in the hottest water the fabric can stand and dry on hot, for 20 minutes. This product contains only 100% EPA exempt ingredients. 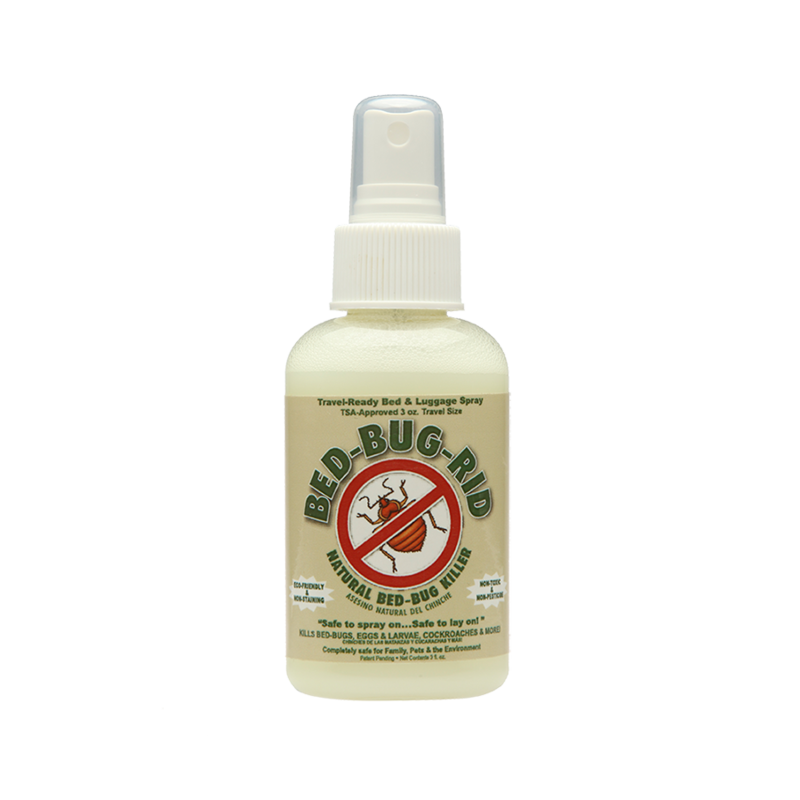 This product is exempt from Federal EPA registration under section 25(b) of FIRFA and as such, is not registered with the Environmental Protection Agency.